The past few days have been filled with the usual excitement and joy that come with making new friends. 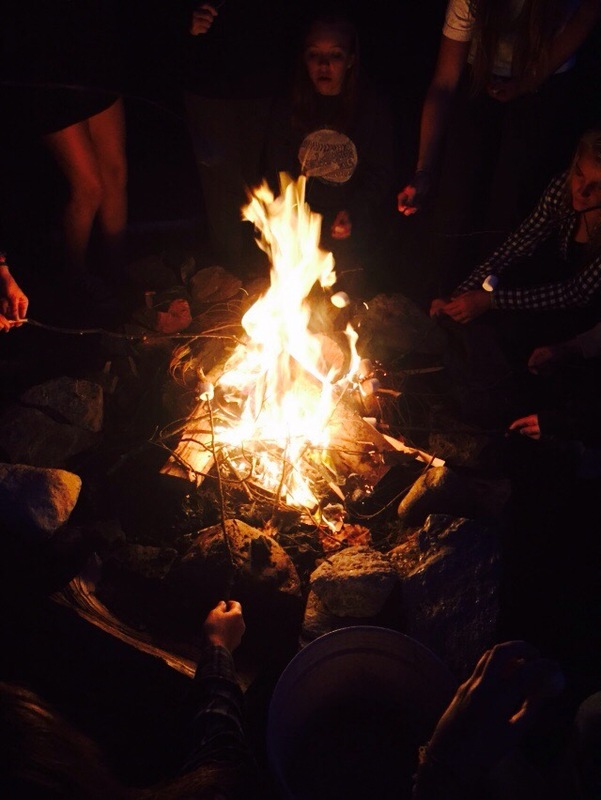 To facilitate cabin bonding a few of the first nights of camp are specifically designated for cabin nights out. One night all of the girl cabins go out of camp and do their own thing and the boys stay in and then they next night they reverse. This session many of the cabins opted to go out for dinner, some choosing sit down pizza places like The Cabin while others chose faster options, such as McDonalds, in order to keep the night moving. One of the cabins went to play mini-golf nearby. A few others opted to check out the nearest thrift shops and came back with some great items. 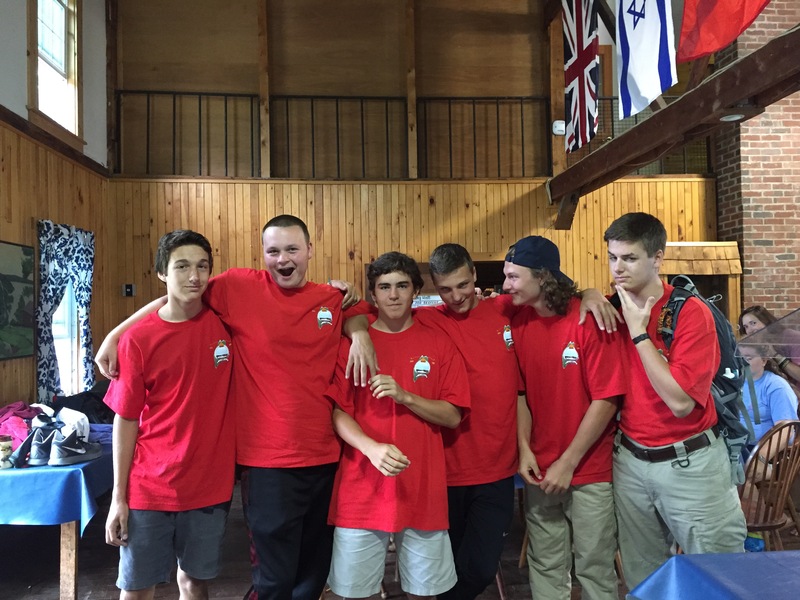 The cabin of Acadia even managed to find matching shirts. 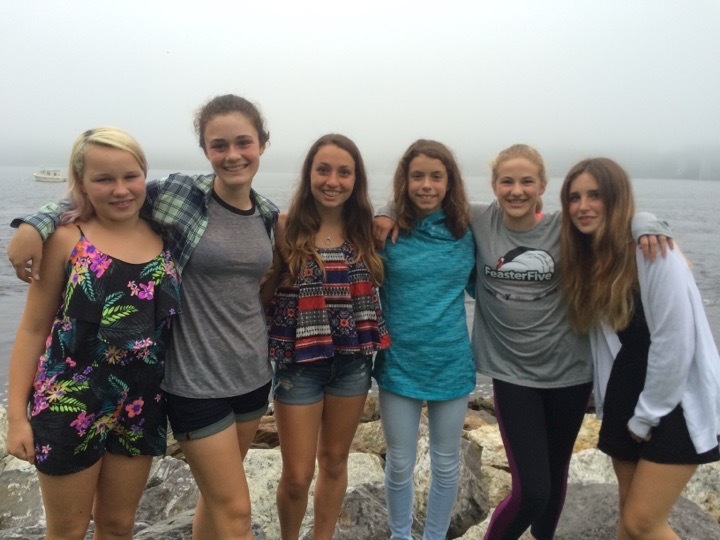 The cabin of Monhegan chose to pack up some food and have a picnic in downtown Bath on the waterfront. 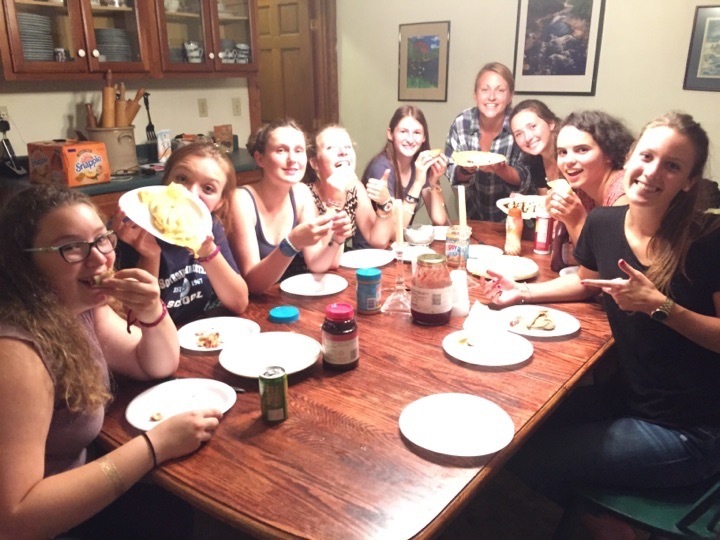 The girls of Manana also packed up some food, but instead of heading to Bath, they went the other way to a house and the French campers in their cabins taught them how to make crepes! They all had a blast flipping the crepes in the pan and everyone gave it a try! When the boys stayed in, they went up to the gym and played dodgeball and other games. The girls on the other hand, opted to do some fun activities on the waterfront and end the night with a campfire with s’mores and roasted marshmallows. Everyone had a great time and we are all excited to see what happens next!